That's all for this week so goodbye to all - we'll be back again on Monday from 08:00 bring you news, sport, travel and weather. Meanwhile have a good weekend despite the forecast not looking good. You can get in touch with the team over the weekend via the "Get involved" button at the top of the page. Further showers during the first part of the night could be heavy and thundery in places across the BBC East region, but everywhere should become dry with clear spells and isolated fog patches. Temperatures in rural areas are likely to drop. Saturday should get off to a dry start with some sunshine, but eventually cloud will thicken and there'll be the risk of showers - some again turning heavy and thundery. 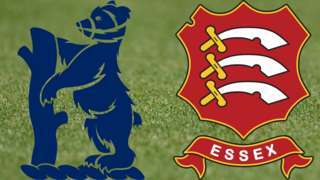 Essex remain 36 points clear at the top of Division One after a rain-affected draw with second-placed Lancashire at Old Trafford. A year of remedial work on one of the county's busiest junctions is likely to have a huge impact on travellers and local businesses, according to the leader of the Liberal Democrats on Essex County Council, Mike Mackrory. He's concerned that improvements are needed to two bridges built in 2012 at a cost of £63m on the Sadlers Farm interchange - the junction of the A13 and A130 near Benfleet. "Delays are going to have a massive impact on the travelling public and business in that part of the county," he said. "When the original scheme was under construction there was a big impact on some businesses that reported a drop in orders of up to 90%." County highways officials said disruption for motorists would be kept to a minimum and there'd be no cost to the taxpayer from the work. Southend boss Phil Brown is hoping to sign ex-Gillingham midfielder Josh Wright because of injuries at Roots Hall. The boy, 16, is given a three-year detention order for killing Arkadiusz Jozwik with a single punch. 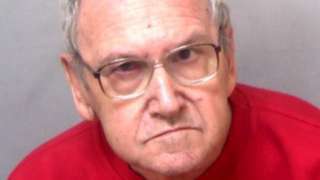 The judge described it as a "merciless, sustained attack on a defenceless woman who stood no chance." A 16-year-old boy has been sentenced to three years in juvenile detention over the manslaughter of Polish man Arkadiusz Jozwik, 40, who died from head injuries when he fell to the ground after a "superman punch" in Harlow in August 2016. 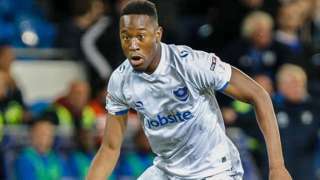 Striker Nicke Kabamba hopes to be the answer to Colchester's scoring problems following his loan move from Portsmouth. A crash on the M11 between junction 9 for Saffron Walden and junction 8 for Stansted involved a coach and two cars, which led to severe delays this morning, but no casualties were taken to hospital. The East of England Ambulance Service sent a rapid response vehicle and an ambulance and crews treated two patients at the scene but neither needed hospital treatment, a spokesman said. Long tailbacks were experienced by drivers on the southbound carriageway. M25 Greater London anti-clockwise severe disruption, between J29 for A127 and J28 for A12. M25 Greater London - One lane closed and heavy traffic on M25 anticlockwise between J29, A127 (Romford) and J28, A12 (Brook Street Roundabout), because of a lorry having a tyre changed. New work lasting 12 months is to be carried out on a busy road junction completed in 2012 at a cost of £63m. Improvements are to be made to the drainage on the A13 Sadlers Farm link road (between Pitsea and South Benfleet) and on two bridges over the junction to ensure they last. Essex County Council's Conservative deputy leader Kevin Bentley said in a statement: "These remedial works are being completed at no additional cost to the taxpayer following completion of the Sadlers Farm scheme in 2012. "All work has been carefully planned to cause as little disruption to the driving public as possible. "Once complete, it will ensure Sadlers Farm continues to deliver benefits to Essex residents and commuters over the next century." 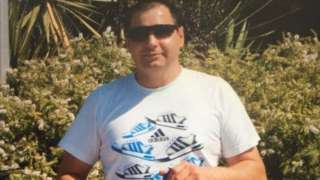 A teenager is to be sentenced for the manslaughter of Polish man Arkadiusz Jozwik, 40, who struck his head on the ground after being floored with a single "superman punch". The defendant, who was 15 years old at the time of the last year's attack and cannot be named because of his age, denied the charge, but was found guilty at Chelmsford Crown Court. Mr Jozwik, 40, had been drinking vodka with two friends and had just bought a pizza when he was set upon outside a row of takeaway shops in Harlow shortly after 23:30 on 27 August 2016. He died two days later in hospital from head injuries. 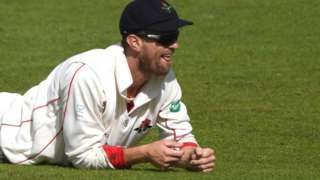 Listen to live BBC local radio coverage of Warwickshire v Essex in County Championship Division One. A12 Greater London northbound severe accident, between M25 J28 and J12 A1023 Chelmsford Road. A12 Greater London - Heavy traffic on A12 northbound between Brook Street Roundabout in Brentwood and J12, A1023 (Mountnessing) in Essex, because of an accident involving three cars earlier on. All lanes have been re-opened. CCTV images have been released of two people police believe may be key witnesses to a fatal assault outside Murphys Sports Bar on Kings Road in Brentwood on Bank Holiday Monday, 28 August. The 47-year-old man died on Saturday, 2 September as a result of his injuries and detectives are continuing to investigate the incident and would still like to hear from any witnesses. Police had issued a photo of a second man they wanted to talk to, but they now say he has been identified. A130 Essex southbound severe accident, at A1114 Great Baddow Bypass. A130 Essex - A130 blocked and slow traffic southbound at Howe Green, because of an accident involving one car. The crowd in Clacton helped make Thursday one to remember for competitors in the Tour of Britain and, for Chelmsford's Alex Dowsett, the cheering pushed him through a time-trial. Dutchman Lars Boom won the Stage 5 time trial on the Essex coast, and took the overall lead in the Tour. Today's Stage 6 takes place between Newmarket and Aldeburgh in Suffolk, and there's a dedicated BBC Live Reporting page. M11 Essex southbound severe accident, between J9 for A11 Saffron Walden and J8 for A120. M11 Essex - Slow traffic on M11 southbound between J9 A11 Saffron Walden and J8, A120 (Bishop Stortford), because of an accident involving two cars and a coach earlier on. All lanes have been re-opened. Congestion to J10, A505 (Duxford). It's getting to look a lot like autumn! After a cloudy, wet and blustery start it will get slightly brighter but there is a chance of scattered showers in the afternoon, some of which could be heavy. For a more detailed forecast for where you are, or where you're going, visit BBC Weather.